Curious item out of Hollywood—Valve is licensing its intellectual property to a science-fiction film, but it has nothing to do with Portal, Half-Life or any other title familiar to the publisher. Instead, its Source engine is being used to help animate Deep, a movie about mankind's struggle to survive in a post-apocalyptic world. At the bottom of the ocean. After World War III. Because Deep has a budget only of about $19 million, it needs some tools that allow real-time rendering, and editing, simplified character animation and economical lighting, writes Variety. 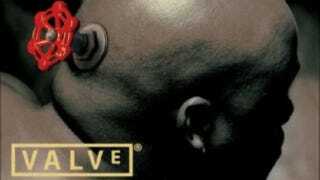 Enter Valve, who has had a working relationship with Brown Bag Films, the studio working with animated feature director Shane Acker on Deep. Valve's Source engine povides the solutions the filmmaker needs, and so off they've gone together. Still no word on a Half-Life movie, though. Or Half-Life 3.